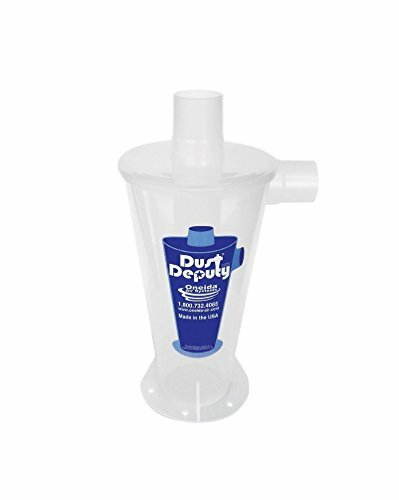 Tired of using your shop vacuum and getting poor results Oneida’s Dust Deputy will transform your shop vacuum and the way you work by trapping dust in a barrel and NOT in your shop vacuum. 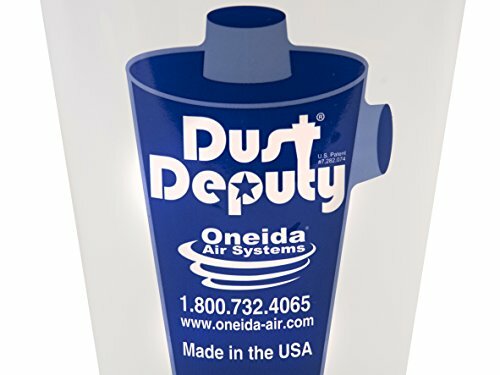 Injection molded from a translucent anti-static resin, the patented design of Oneida Air’s Dust Deputy cyclone uses centrifugal force to capture and remove 99% of dust and debris from the air-stream before it reaches your vacuum’s filter, eliminating clogged filters and suction loss while extending the life of your shop vacuum The Oneida Dust Deputy DIY (Do-It-Yourself) cyclone let’s you build the dust control system that works best for you. You supply the waste container, the hardware, the hose, etc. Then add the award-winning cyclone separator. 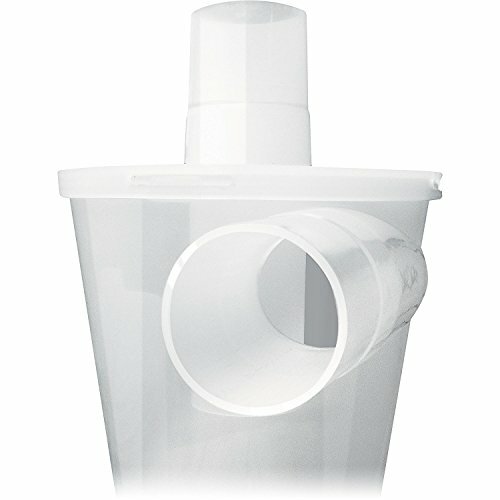 With the DIY cyclone you’re limited only by your imagination The Dust Deputy will save you time and money on expensive replacement vacuum filters and dust bags, allowing you to keep working harder, longer, and safer than ever This simple and efficient design can be adapted for use with any make, size, or model wet/dry vacuum and features tapered 2.0″ ports for secure fittings using a variety of hose sizes. 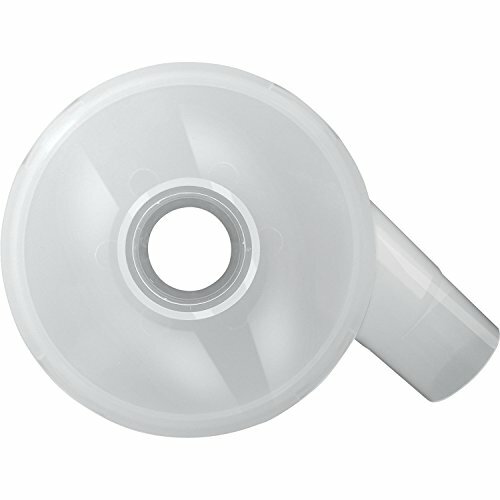 PATENTED DESIGN – Made of anti-static resin, this cyclone separator is translucent in color and features a tapered inlet and outlet (2″ inner diameters). Dimension: 7.4 x 15.5 x 9.3 inchs., Weight: 0lbs. – All payments must be prepaid. – Items are dispatched within 24 hours (except weekends and holidays) and shipped from US. – Orders from Canada or Moxico will all be shipped out via USPS International Service. The shipment usually takes 7-10 business days (Saturday and Sunday excluded). If you need the item urgently, please contact us for detail before purchase. – Customers in Porto Rico, Alaska and Hawaii are recommended to contact us for shipping details (shipping cost time) before placing an order.